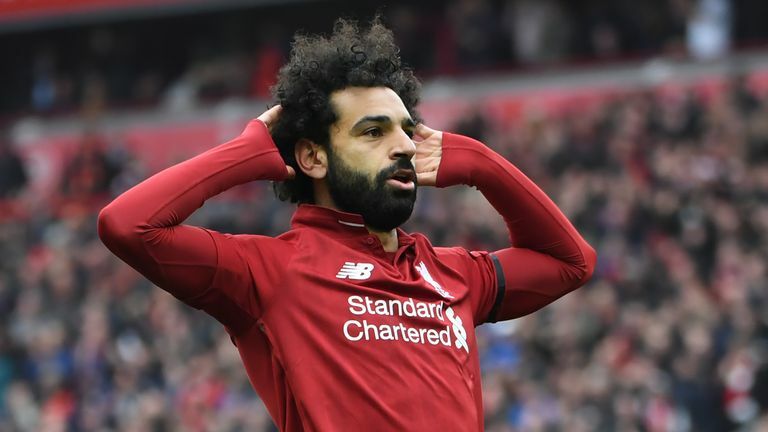 Mohamed Salah, Jurgen Klopp, Graeme Souness and Ashley Cole all had their say on Salah's superb strike against Chelsea which sent Liverpool back to the top of the Premier League. Two minutes after Sadio Mane had given Liverpool the lead, Salah picked up a lovely forward pass from Virgil van Dijk, rounded Emerson at the top right corner before curling a sensational effort past Kepa Arrizabalaga and celebrating with a yoga 'tree' pose. 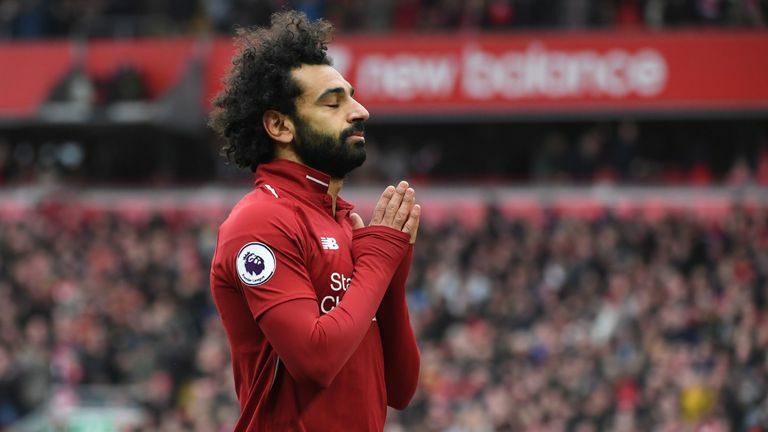 Jamie Carragher on co-commentary: "He's been waiting for that moment in 2019 - the Salah moment that we saw so often last season. It is an absolute rocket!" Mohamed Salah: "I don't think, I just feel! This one I decided as it was far out I just to go with power and it was a bit lucky the ball hit the net like that! "Henderson did a great job [taking the defender away] and it makes it easier for me. He was part of the goal of course, it's part of our job in training, we do tactical things and I think it's working well. "[The celebration] just came into mind immediately to do that." Ashley Cole: "With the goalkeeper, I think he has to stay how he was. Jorginho could maybe have read it a bit quicker knowing that Salah on his left foot is more than likely going to shoot. 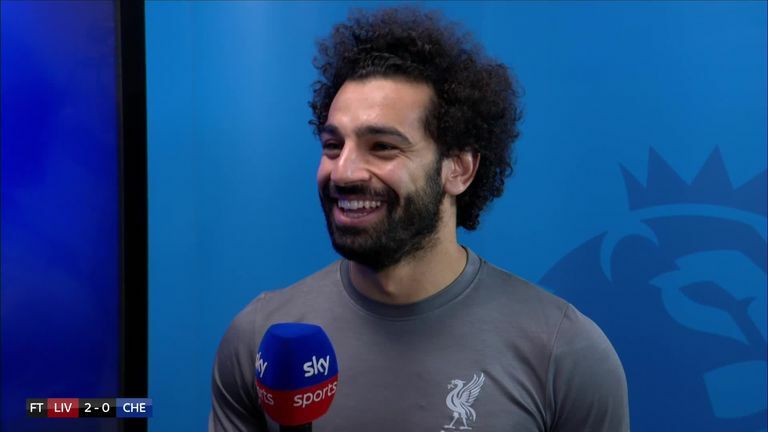 Mohamed Salah thinks Liverpool will be Premier League champions if they win their remaining four matches of the season. "As a left-back, sometimes you can't stop it. Salah has taken a great touch, taking it away from Emerson inside and sometimes you can't get up to him. 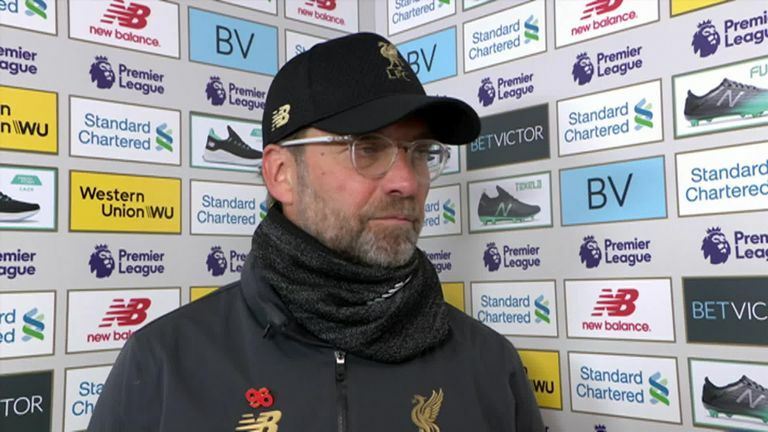 It is a great strike and I don't think any goalie in the Premier League at the minute would save that, he has caught it perfectly." Graeme Souness: "What a goal this is. Van Dijk pings the ball forward with a lovely strike, his touch is gorgeous and he is shown in by Emerson. Someone has got to be helping him, Jorginho has got to be coming across a bit quicker and prevent the shot. "That is maybe being a bit critical and it is not taking away from the strike. It is a wonderful strike, it's a sensational strike. 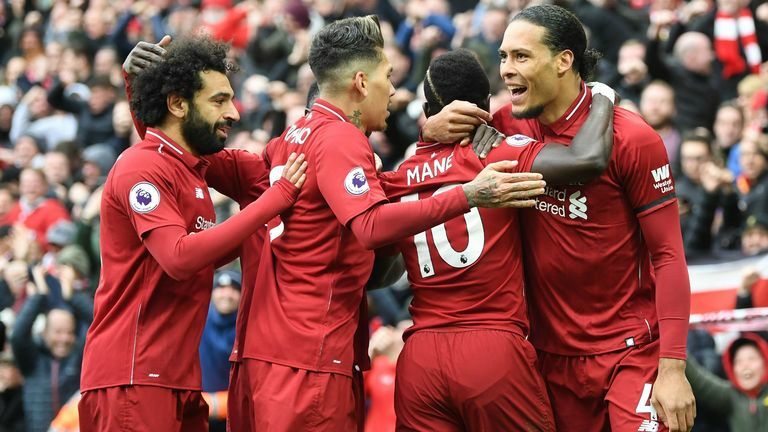 The goalkeeper possibly could have moved his feet, which he doesn't, maybe because Salah took it so early, but it is a wonderful strike and he was super today." Jurgen Klopp: "I've seen a few really good goals since these boys have been in, I think Steven Gerrard had a few from similar moments. But of course, it was a brilliant, brilliant goal in all departments - the control, the first touch, going inside, the movement around, giving him this little bit of space and then I'm 100 per cent convinced it is a fantastic goal. "It blew me away. I was really happy. I saw it good because I was right behind it. It was really, really outstanding finish. The work rate of all three up front was outstanding against Chelsea. Our boys' work today was unbelievable and we got the reward for that." Maurizio Sarri: "The second goal was a shocking goal - in a good way for them, not for us."